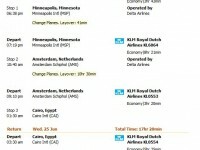 The average price of a flight from Houston to Cairo is $1,733. 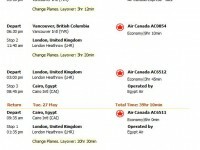 For a IAH-CAI flight passangers can get about 14 thousand redeemable miles. 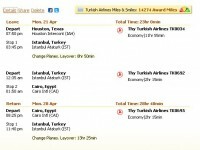 A flight from Houston to Cairo will be about $1,695 in low season while it goes up in high travel season. Interesting fact that the lowest rate ever found for the same route is $742, this was a Lufthansa flight discovered by travelers on Faregeek. However the best price discovered in the past year is great too, as little as $742 round-trip for a Lufthansa flight found for May 2013 on Faregeek. Popular travel season is during December to February in Cairo thus flights can get much more costly than. Assuming that you happen to be looking for budget fares, we advise you leave in May-September, over off season, as than airlines tickets become a lot cheaper. We think that altogether the nicest time to visit the city from Houston is between seasons, during March to April and October to November. The only airport serving the city, Cairo International, is circa 10 miles away from the central part of the city. Cairo has only 1 airport, namely Cairo International Airport. The shortest flight departing from Cairo is 116 miles long and arrives to Borg El Arab.